Home / Getting Prepared / Baby Behavior — What's Normal? 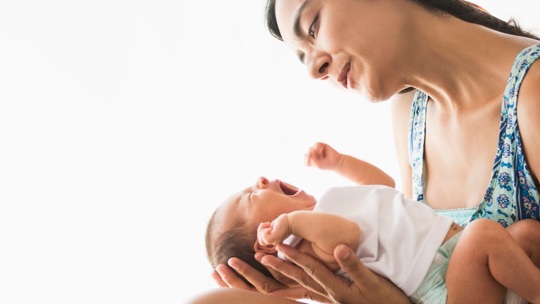 Every new parent has questions about what's normal when it comes to your baby. We all have wondered if our baby is sleeping too much or too little, or eating the right amount. We've put together some helpful information about what you can expect as you settle into breastfeeding during the early months. Babies have 2 types of sleep. Both types of sleep are important and healthy. Moves around and makes noises. Has eye twitches or opens and closes his eyes quickly. Has fast and slow breathing. Has relaxed and floppy arms and legs. Newborns fall asleep dreaming in light sleep. Wait for signs of deep sleep before laying your baby down. This may take 20-30 minutes. It's normal for baby to fall into a light sleep while nursing and still need additional time to fall into deep sleep. Consider it extra snuggling time! During the first 6 weeks, your baby's sleep will be hard to predict. She is getting used to the new world around her. You can expect that your baby will sleep for only a few hours at a time and will wake up many times throughout the day and night. It's normal and healthy for baby to be hungry and nurse in the middle of the night. 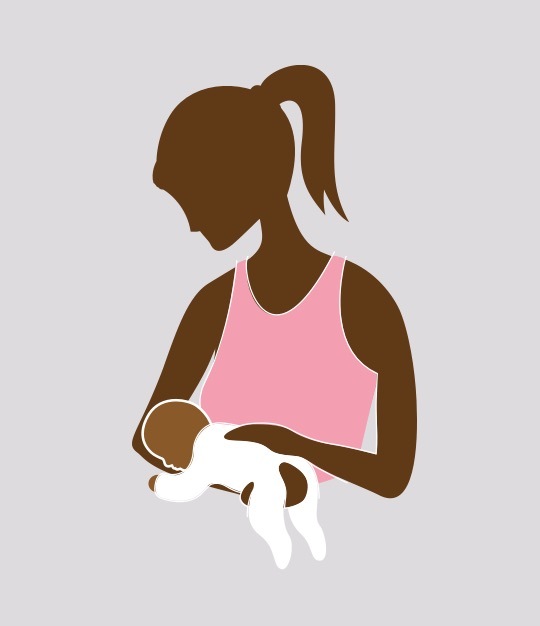 Look for hunger cues and bring your baby to the breast as soon as you see them. Cluster feedings are common during these early weeks. This is when the baby feeds almost continually for several hours. Your baby may have a series of short feedings that are close together or one or two long feedings. Baby will still get enough sleep even if she wakes often to feed, and this frequent nursing will help you establish a good milk supply. 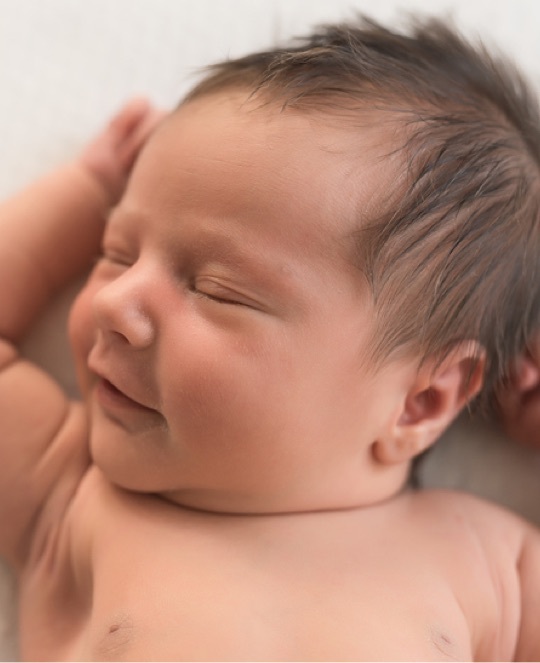 Starting at around 6 weeks, your baby may sleep more at night because she is awake more during the day. Waking at night to breastfeed is still normal and healthy. 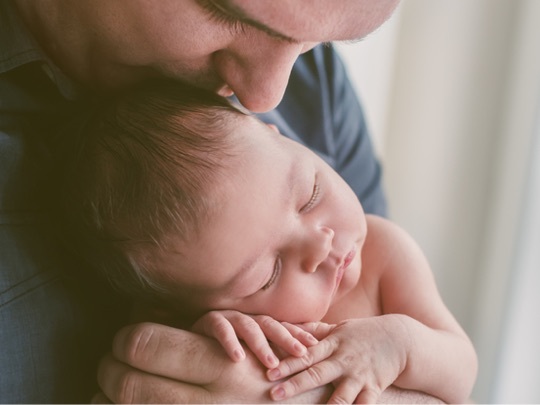 Remember to nap when your baby does—even a little sleep can help you feel more rested. Now your baby will start to sleep for longer periods of time at night, but she will probably still not sleep through the night. It's common for babies to wake to breastfeed once or twice per night—or more frequently if they are going through a growth spurt. Soon your baby will begin falling into deep sleep faster so you can lay her down sooner after breastfeeding. Your baby may sleep for up to 6 hours at a time. Some babies sleep through the night, but many do not. Breastfeeding during the night is still normal and healthy, even after your baby begins eating solid food. Your baby's sleep schedule will become more regular. She will probably take two naps during the day and sleep about 6 hours at night. Breastfeeding at bedtime will help calm your baby, but she may still cry when you leave the room. This can make naps and bedtime more difficult. Keeping a regular routine will help your baby feel more secure and learn to calm herself. Some babies are able to self-calm around 8 months, but others learn this skill later on. 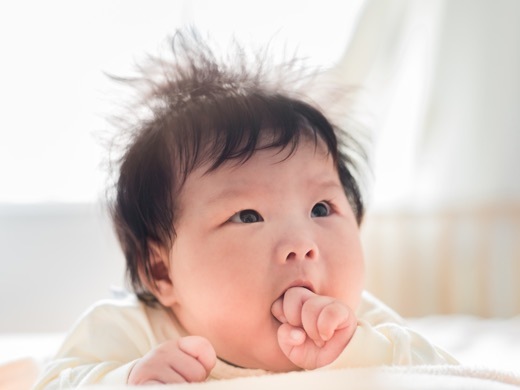 Throughout the first year, babies may have times when they wake up more often because of growth spurts, sickness, teething, or changes in routine. Some babies take a long time before they sleep through the night. As long as your baby is happy and growing well, there is no reason to be concerned. Talk to your doctor if you are concerned about your baby's sleep schedule. Safe Sleep: Your baby needs your protection even when she's asleep. Here are steps to follow every time baby goes to sleep. Always put baby down to sleep on her back. Baby should sleep on a separate, firm sleep surface with no pillows, blankets, stuffed animals, or toys. Avoid curtains or window shades that could be pulled into the sleep area. Baby should sleep in the same room with you but not in the same bed. You can bring your baby into your bed to breastfeed, but she should be returned to her own sleep surface, such as a crib or bassinet, after each feeding. Baby should never sleep on a sofa or other soft surface. Baby should be dressed appropriately for the room temperature. Babies don't need to wear extra layers of clothes. A sleeper or sleep sack should keep her cozy if the room is cool. Some young infants feel more secure when they are swaddled, or wrapped in a blanket. Swaddling may help calm a fussy baby, but the blanket should be removed before she goes to sleep. All caregivers should know and follow these safe-sleep practices. New parents can expect to get less sleep. For a few months, most of your sleep will be in short stretches. These tips will not make your baby sleep through the night, but they may help YOU get more rest. Put your baby to sleep in your room in his own crib or bassinet for the first few months. When your baby wakes up and needs something, you won't have far to go. It will be easier for you to recognize baby's hunger cues so you can bring him to the breast right away. Play music softly or turn on a quiet fan so you won't wake up with every little sound your baby makes. You will still be able to hear your baby when he really needs you. Keeping lights low while you feed, burp, or change your baby's diaper during the night will help you get back to sleep more quickly. Turn the lights on if you are giving medicine or doing something else that requires your full attention. Even a short nap will help you feel more rested. Ask family and friends for help at home. Crying is normal. It is one of the only ways babies have to tell you that something needs to be different. 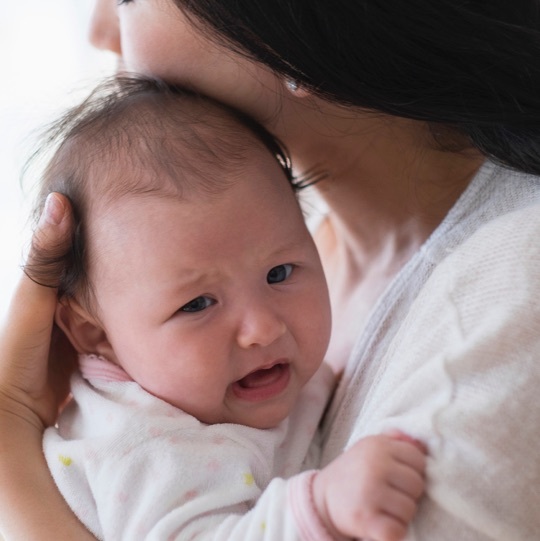 As your baby gets older, she will get better at letting you know what she needs—and she will cry less. Beginning at about 2 weeks, many babies start to cry more than they did when they were first born. This time is also sometimes called the "period of purple crying." Some babies cry a lot and others far less. This is the time to learn how to calm your baby and how to keep yourself calm if your baby won't stop crying. While it can be frustrating for parents, know that this time is temporary, and will probably end by the time baby is 3 or 4 months old. Be sure to watch for early hunger cues, because baby may be too upset to eat if he's been crying for a long time. Does baby need to be burped? Does baby need a clean diaper? Does your baby have gas? Is baby too hot or cold? Is baby tired or sleepy? Is baby lonely or afraid? Try saying a simple, calming phrase such as, "It's okay, baby. It's okay, baby. It's okay, baby." Gently rock, sway, or bounce your baby, repeating the same motion over and over again. Gently massage baby's back, arms, and legs. Try using the reverse football hold to comfort him. This position puts gentle pressure on baby's tummy, which can help get the gas out. Place baby lengthwise along your forearm facing down with his head next to your elbow. Place your hand between baby's legs and use your forearm for support. Use the palm of your hand to apply gentle pressure to the tummy. Use your other hand to gently rub and pat baby's back. Calming your baby takes time. Stick with the same action for several minutes—this can be the secret to success. If your baby continues to cry or becomes more upset, move on to something new. It takes time to calm a crying baby. It takes time to calm a crying baby. Know that during the first few months, some babies cry for no reason. They may cry for long periods of time even when they are well cared for and healthy. This can be very frustrating for parents. Ask a friend or family member to give you a break by helping with your baby. If you start to feel angry or overwhelmed, lay your baby down in a safe place for a few minutes and take a break. Do not ever shake your baby. Remember, things will get better. Babies cry less as they get older, and you will get through this! Contact WIC or your doctor if you think your baby is crying too much.